Rising over small sandy gulfs in northern Crete, IBEROSTAR Creta Panorama & Mare Hotel and IBEROSTAR Creta Marine Hotel are situated next to the picturesque fishing-village of Panormos and a leisurely 20 minute drive away from cosmopolitan Rethymnon. Combining a privileged central location, upscale comfort and state-of-the-art facilities, these First Class Hotels and Bungalow Complexes are the ideal destination, for business or pleasure. Beautifully landscaped lush gardens surround the fully air-conditioned main building and bungalows complex. There are 454 rooms (IBEROSTAR Creta Panorama & Mare Hotel) - 359 rooms (IBEROSTAR Creta Marine Hotel) expertly furnished and comfortable guestrooms, also with disabled accessible accommodations and 17 luxurious suites. All rooms are appointed with individual bathroom, hair dryer, climate control, direct-dial phone, safe box, fridge, Satellite Colour TV with music channel and a private balcony or terrace with splendid views. 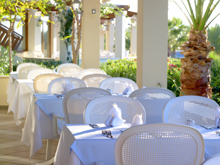 In an elegant and relaxed ambience, the hotel's restaurant and taverna serve a wide variety of a-la-carte and buffet dining. Guests can watch the sun sink into the sea while indulging in a pre-dinner drink at the pool-bars or relax over cocktails at the cosy lobby bars or the music bars. Other facilities include a children's playground, game-room, mini golf, table tennis, billiards, Open-Air Theatre, Satellite TV and Video Lounge, a hair parlour, a jeweller's souvenir shop, boutique, mini-club, a mini-market, and an Internet corner. There are on-site flood-lit tennis courts, volley and basketball courts, while water-sport activities include: Water Ski, Banana Boats, Ringo, Canoes, Jet Ski. A Scuba – Diving Centre at locality. The hotel's outdoor seawater pools, indoor heatable pools and one outdoor freshwater pool are perfect for plunging. A fitness room is available to guests, featuring sauna and hydro-massage. Evening entertainment is provided with stage performances, a daily animation program, night shows, Greek nights and folklore shows. For state-of-the-art business convenience, IBEROSTAR Creta Panorama & Mare Hotel boasts an excellent Conference Centre, providing for air-conditioned venues for events up to 500 persons. The Centre comprises one large Conference Room, Lobby and Exhibition Area, two Meeting Rooms, two Committee Rooms, a Secretarial Office, as well as sufficient outdoor space on the veranda for special events. 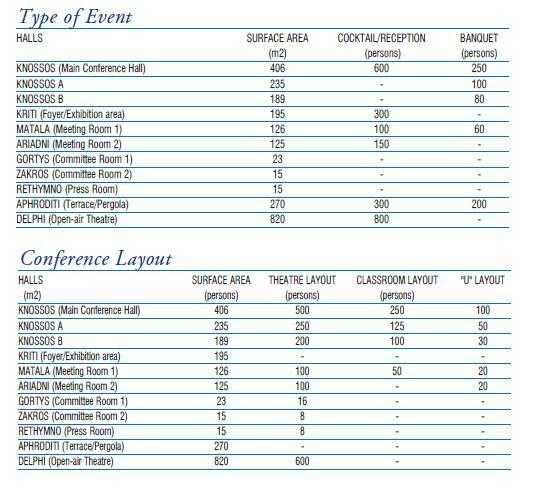 The Conference Centre is equipped with climate control and a hospitality desk. Special notice boards, microphones, flip charts, overhead/slide and video projectors and video VHS, Secretarial assistance, hostess services, press office and photographers are on request available. 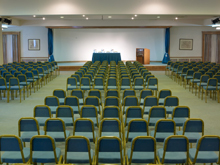 The IBEROSTAR Creta Marine Hotel has two function rooms ideal for conferences. The largest room has a capacity of 300 persons and the second room of 40 persons.